'Tis the season to be jolly and we're spreading the joy with our own take on the 12 Days of Christmas. Each day we will feature a different aspect of home automation and integrating all the devices in a home which turn it into a smart home. On the 11th day of a Smart Home Christmas, we bring 11 smart lighting controls. There are plenty of light bulbs on the market today which bill themselves as being smart. They connect wirelessly to your network via WiFi or Z-wave empowering you to control your lighting with a smartphone and to schedule the time of day when they should turn on or off. But there's a new bulb on the horizon that may make all other smart lights look dumb by comparison. 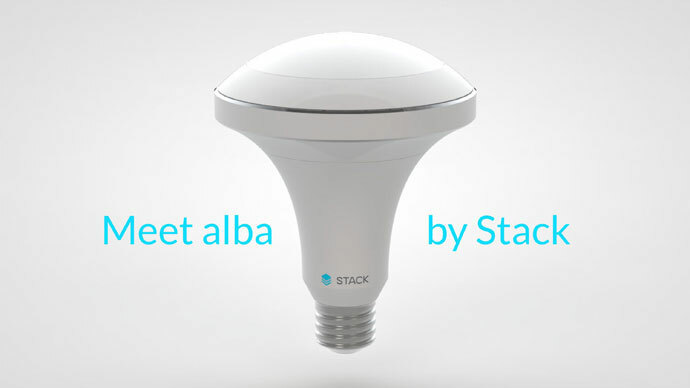 Stack Lighting is upping the ante with their Alba LED light bulb. Check out the video and more details by clicking read more for the full article.